Our farms located in Shoreham,Eastport,Calverton and Riverhead have some of the finest mineral soil in the region. 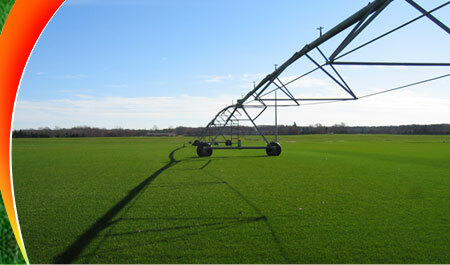 Here we grow the finest Kentucky Bluegrass and Tall Fescue available. We choose only Gold Tag seed. This is the purest seed available. Before selecting varieties we test them on our farms to be certain they will perform for you. Only then are these cutting edge elite varieties planted. 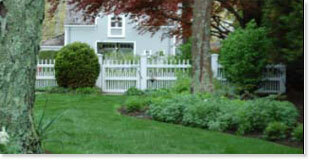 We carefully evaluate the growth of our sod and apply high quality fertilizers when needed. An aggressive Integrated Pest Management program monitors for insects and disease. We only seek solutions when problems actually arrive. When we harvest our sod it is healthy and has a mature and extensive root system. We proudly offer it for sale as the finest sod money can buy. You can choose from 100% Kentucky Bluegrass or an 80% Tall Fescue/ 20% Kentucky Blue Grass that tolerates heat, drought and shade. 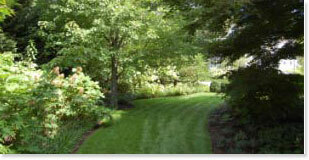 Ask your landscaper which would be best for you. Copyright © 2010 l DeLalio Sod Farms LLC.